Shih Tzu dogs don't eat a lot so every bite counts. And feeding them a high quality, nutritionally packed meal is by far the healthiest choice to make for your furbabies. So how do you know if you're feeding your Shih Tzu the best dog food? The best dog foods don't necessarily mean the most expensive. But it should at least contain quality ingredients, as well as being complete and balanced to meet your dog's nutritional needs. Pure meat and organs as first ingredients. Ingredients must be listed in order from the largest to the least, which means that the first ones listed weigh more than the last ones listed. So having pure meat as the first ingredient followed by other quality ingredients, provide great nutrients and is probably a good choice. If the first ingredient listed is corn, well...you may want to put it back on the shelf. My personal opinion is that homemade dog food may be the best way to make sure you are only feeding him quality ingredients. But sometimes there just aren't enough hours in the day to add this time-consuming chore onto your already busy schedule. This is where a quality commercial dog food will help. With so many choices, it's not easy picking one. I've compiled a short list which I personally feel are the best quality dog foods for my own Shih Tzu, maybe it will help you with yours. Stella & Chewy offers a raw food diet for your pets. I get the freeze dried patties when we go on a road trip so I can feed my boys good healthy food without having to open a can. But they have frozen and toppers too. They've come out with a new raw coated kibble food which I've recently tried with my boys. They didn't seem to like the Lamb (not surprising for them), but they did alright with the Chicken flavor. The ingredients in Stella & Chewy's food is "only the good stuff" sourced from farmers. Grass fed and cage free meats and poultry, organic fruits and veggies, their foods also contain organs and bone with no added hormones or antibiotics. I'm super excited that my boys will eat it...they can be quite picky about their food especially since I've been making their food at home more often. Fromm has become one of the best dog foods available. Not only because of their ingredients but also because they truly care about their customers....your dogs. Fromm dog foods come in both a dry and wet. Our boys are pretty picky when it comes to eating dry foods, and there are very few dry dog food brands that they will eat, but Fromm is one. My sister generously offered us her dogs Fromm dry food, until we could go to the pet store the next day. I accepted but didn't really expect them to eat it, but not only did they eat it, they cleaned the plates! We now buy them a bag of dry food, which they eat a couple times a week, and Fromm's canned food too, which they really like. So Fromm has become a favorite in our household of picky eaters. The ingredients are also very high quality and healthy. However, this does make them a little more expensive compared to other brands. If you are seeking human grade ingredients or a grain-free, then Wellness just may be the best dog food for your pup.. In addition to their original Wellness line of Super 5 Mix foods, they also have a product line called CORE which is high protein, low carb, and grain-free, with human grade ingredients. They also have a reduced fat version of this diet if your dog is overweight or can’t eat fat. Their Simple Solutions product line uses exotic proteins such as duck and venison and is a good choice for dogs with food allergies. Wellness has a canned food that reads that it is 95% beef, or chicken, or lamb. Although this is a great product, this is only supposed to be used as a “mixer or topper”, and not a meal by itself. If you are having trouble getting your little guy to eat his kibble, you can scoop out a teaspoon or two of the 95% meat product and mix it in with his kibble. Taste of the Wild by Diamond foods brand is also considered one of the best dog foods for your dog. They offer several formulas that are higher in protein, grain-free, and lower in carbs. 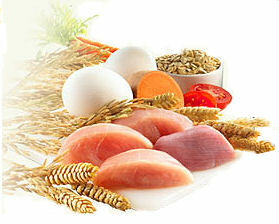 Some of their proteins are exotic which can make their food good for dogs with food allergies. Their High Prairie Canine Formula, for example, has both venison and bison in it. Taste of the Wild is a very good quality food for your dog, and come in both canned and dry foods. Artemis advertise they have a “holistic approach to dog food”. Our Shih Tzu like the Artemis dry food probably because the kibble is very small and easy for them to chew. However, I usually have to mix it with either warm water or a little bit of canned food, or they will only take a couple small bites of kibble and walk away from it. Established in 1998, this California pet food company uses only quality food ingredients like chicken, brown rice, peas, and tocopherol, which is the good kind of preservatives. They offer samples on their website, so you can try it before you buy it....Win! Innova was one of the original holistic dog foods and was considered one of the best, when it was manufactured by Natura Pet Products. However, they are now owned by the industrial giant, Proctor & Gamble, who also own other products such as Iams and Eukanuba foods, which didn't make the grade of best dog foods available. They still use only natural ingredients. But that may change in the future, I hope not, but it may. If you examine the ingredients in different dog foods then you can see that Innova is still one of the best dog foods around. According to Innova they use ingredients from each of the five food groups such as chicken, turkey, and beef, as well as cottage cheese, fruits, vegetables, grains, essential vitamins and minerals. However if you're seeing more fillers and not so good preservatives making its' way into the ingredients list, then you may want to consider moving on to a different brand. There's been some controversy over Blue Buffalo brand lately, and has caused us to think about the brand again. It seems there are some claiming that it is making their dogs sick, with vomiting and diarrhea which certainly raises concerns for any one who loves their dog. Also that their ingredients may not be a wholesome as Blue claims they are. Blue Buffalo has refuted this, saying they are "being set up by their competitors." All I can say is that our boys have been eating Blue for quite a few years and they don't show any signs of health issues that some are saying they are seeing in their dogs. However, we don't just feed them Blue Buffalo, we use multiple other brands as well as some home cooking, so they don't get bored with eating the same thing over and over. You will have to judge whether or not to use Blue Buffalo. I hadn’t heard of TruDog brand before, but one of our readers has spoken so highly of this brand saying it was the best dog food they've used. That it intrigued us. So we checked out this brand and found it’s list of ingredients were stellar. The back story on how this food came to be was pretty interesting too. This dog food is made by a Midwest family inspired by their beloved Great Dane having developed cancer, and sadly passing away. When they evaluated the food they had been feeding him, they were horrified by the ingredients. Realizing that the food they had been feeding him was basically "junk food for dogs", they wanted to find the best dog food they could for their other pets. But instead they were inspired to develope their own raw diet and what resulted from their efforts was TruDog Freeze Dried Raw Food. The first ingredients at the top of their list are actual meats, not by-products, and has other beneficial ingredients as well.. The ingredients in this product were so good, and since I'm always on the hunt for a quality dog food for my boys, I ordered a bag from Amazon after not being able to find it in any of my local pet stores. I was so happy when it arrived, I eagerly filled my boys bowls with a small amount and was sure they would gobble it up. Unfortunately my boys didn't eat any of it, even when trying several times the rest of the week, not one bite. It's too bad. It really seems like a great product. But it doesn't matter how good the ingredients are if they won't it eat right? So for my boys, it wasn't the best dog food. However, it's not a total loss. My sisters dog really seemed to like it and woofed it down when we gave her a bowl of it. These are just a few of the choices to consider when you are trying to find the best food for your dog, depending on what your dog needs. Usually you won’t find these in groceries stores, but will find them in specialty stores like Petco, and Pet Source, or our particular favorite store Especially For Pets. Or you can usually save a little money by ordering them online at places like Amazon.com, and Chewy's which typically give you better pricing. Another way to find these dog food brands is to go to their websites and see where you can buy it from. I highly recommend you ask your local pet stores if they have samples, and see how your dog likes these foods so you're not throwing money out the window. Remember to make any changes to your dog’s diet slowly by mixing in the new food with your dog’s current food. Watch your dogs physical condition to see if he gains or loses weight when eating the new food, also observe his coat to make sure it's shiny and healthy after you change foods. Dog Food Ingredients What's In Your Dogs Food? 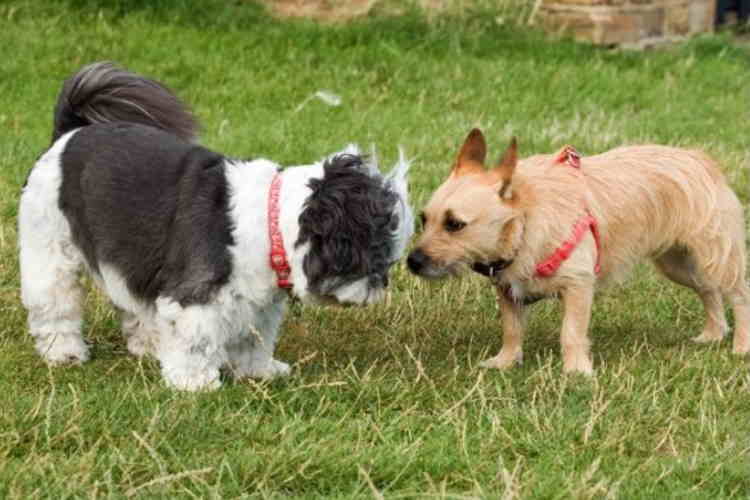 Are Shih Tzu Dogs A Non-Shedding Dog Breed? 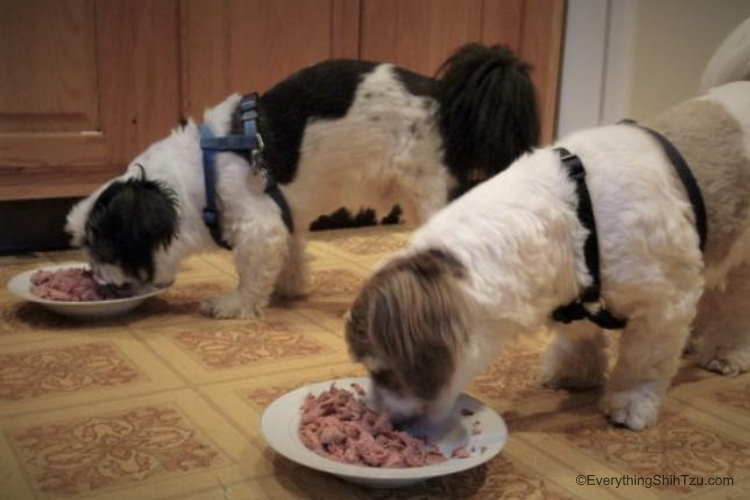 Does Your Shih Tzu Have a Favorite Dog Food? Let others know! Not all dogs are alike. What one Shih Tzu likes, another may not. If your Shih Tzu has a favorite dog food, please share it with others! 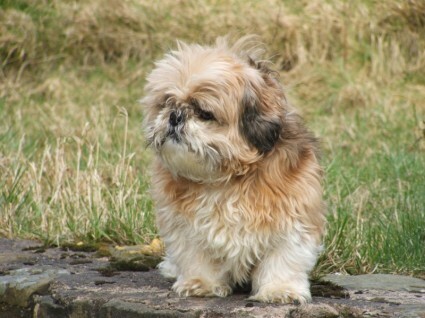 Also, we all like photos of Shih Tzu. Feel free to upload your pups photo too. My five year old female shih tzu Darla enjoys this dry food since she was a year old. No allergies or upset stomach for her but just enjoys eating.